WATERLOO – Business leader, corporate director and governance expert Eileen Mercier has been appointed chancellor of Wilfrid Laurier University. The appointment was unanimously approved this week by the Laurier Board of Governors with the unanimous support of the university Senate. The appointment takes effect Oct. 28 with an installation ceremony at the university’s fall convocation. Mercier succeeds Michael Lee-Chin, who has served with distinction as chancellor of the university since Oct. 28, 2011. Mercier will be the ninth person to occupy the role of chancellor since the university became a public institution in 1973. As chancellor, she will be a member of the Board of Governors and Senate, and will serve on the Senate honorary degree committee and the Board development committee. She will also preside over graduation ceremonies and will officially bestow all degrees and diplomas. Mercier, who has more than 45 years of leadership experience in a variety of industries, is among the first women in Canada to build a career in corporate governance. She is the chair of the board of directors of Payments Canada, the organization responsible for the clearing and settlement of financial transactions in Canada. 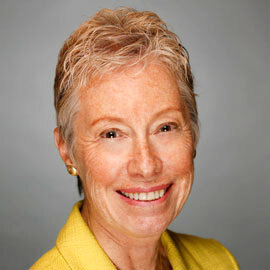 Previously, Mercier served as chair of the Ontario Teachers’ Pension Plan board and is the former president of Finvoy Management Inc. and a former senior vice-president and chief financial officer of Abitibi-Price Inc. She has served on the boards of many corporations and health-care and arts organizations. She is a Fellow of the Institute of Corporate Directors and a Fellow of the Institute of Canadian Bankers. In 2011, she was named one of Canada’s Top 25 Women of Influence and has twice been named one of Canada’s Top 100 Most Powerful Women in the Accenture corporate directors category. She has been awarded honorary doctorates from both Laurier and York University. Mercier graduated with a BA and an academic gold medal from Waterloo Lutheran University, which was later renamed Wilfrid Laurier University. She went on to earn an MA in English from the University of Alberta and an MBA from York University’s Schulich School of Business. She served on the Laurier Board of Governors for many years, including a term as chair from 1988 to 1990. In 1991, she received the Wilfrid Laurier University Outstanding Business Leader Award. During the university’s centennial in 2011, she was named one of the 100 Alumni of Achievement. In 2013, the university awarded her an honorary doctor of laws degree. She is a member of the university’s President’s Council of Advisors and the Campaign Cabinet, as well as a longtime member of the Alumni Choir. Outgoing chancellor Michael Lee-Chin is stepping down after five years of dedicated service.